Work in Progress is happy to welcome the Las Vegas Bloggers to our downtown coworking space. Their upcoming Meetup is scheduled from 6:30 PM through 8:30 PM on Tuesday, January 9, 2o18 to talk about Creating Killer Content & How to Monetize It – The Yin and Yang of Blogging 2018. The Las Vegas Bloggers at their former location. Las Vegas Bloggers first came together in 2012, and they’re still going strong. The group is home to all kinds of bloggers, from full time content marketers to curious hobbyists and everything in between. Lead organizer Andrew DiMino took the reins in 2014. He and co-organizer Scott Roeben are both experienced and successful bloggers, and their different perspectives and approaches help create a Meetup group with wide appeal. For business-minded bloggers, Andrew brings his experience and insights as a successful 20-year veteran of online entrepreneurship. For bloggers who do it for the applause, there’s no better teacher than Scott, an award-winning blogger and accomplished social media manager. The group is known for teaching relevant topics with excellence, providing great networking opportunities, and for occasional risqué jokes. 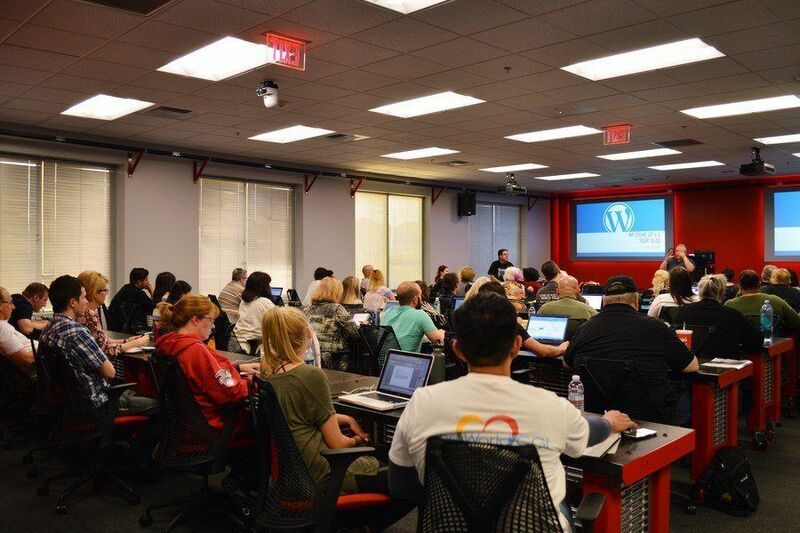 If you’re a blogger for fun or work or you’re considering starting a blog, it’s the best free education you can get in Las Vegas. Insert one of those occasional risqué jokes here. To kick off the new year, Scott and Andrew are each covering their favorite topics, which also happen to be the two that are most requested: how to write great blog posts, and how to make money from them. It’s the Yin and Yang of blogging because while the topics seem different, they’re actually just two ways of looking at the same thing. 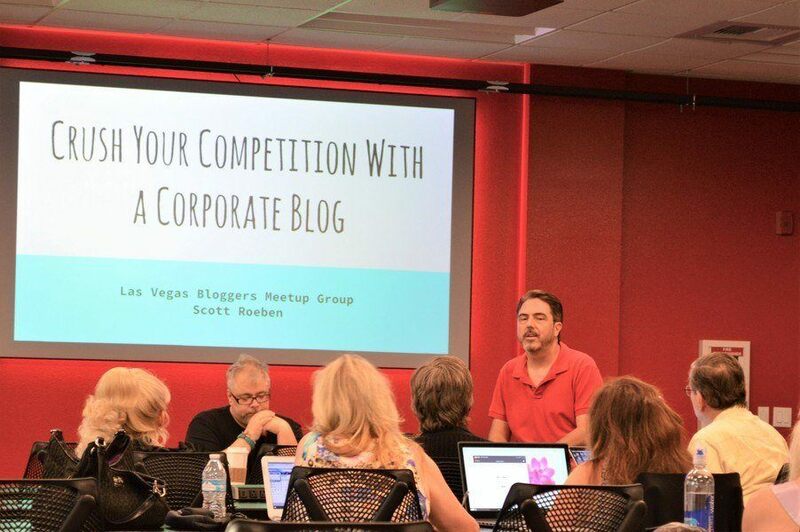 As one of the most acclaimed bloggers in Las Vegas, Scott begins by sharing his best tips for creating incredible blog content that gets attention. If you’ve ever struggled with blogger block, or if you think your writing skills could use some polishing, he can help you out. From there, Andrew provides the ‘Yang’ to Scott’s ‘Yin’ with tested and proven strategies to turn that exceptional blog content into actual income. 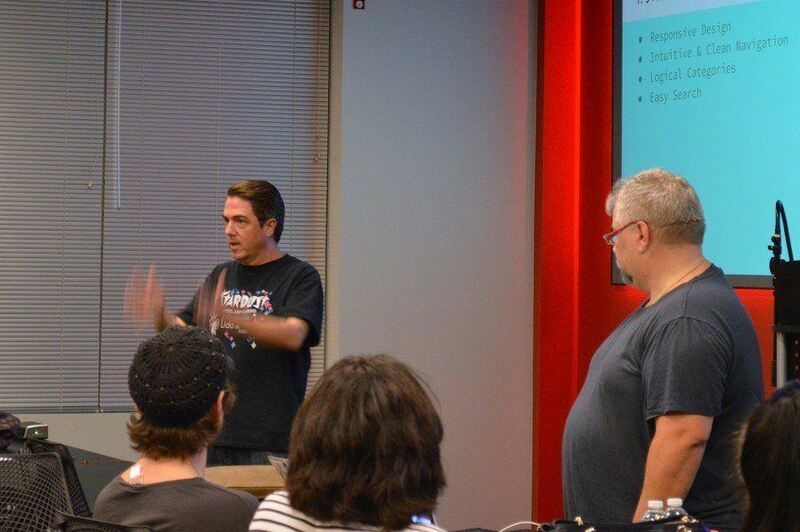 Scott and Andrew presenting at a previous Las Vegas Bloggers Meetup. Current members already know the insane amount of value that comes from Las Vegas Bloggers Meetups. If you’ve never been, the January 9th Meetup is a great place to start. Free street parking is available after 6 PM, and Meetup attendees can park in the Work in Progress garage without a pass after 6 PM. RSVP here to let Andrew and Scott know you’re coming.